As a non-profit organization, The Lighthouse relies on a team of dedicated volunteers to help with client programming, prepping food and serving meals. The task of recruiting people and organizing the program falls to Volunteer Coordinator Grace Rath. 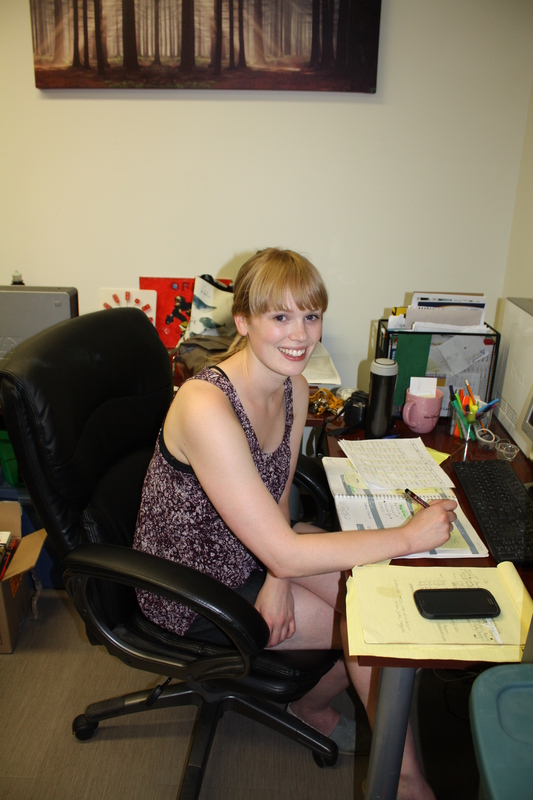 While studying Sociology at the U of S, Rath saw a poster on the bus advertising for volunteers. “I’d walk downtown to work every day and I’d walk past people panhandling and I didn’t have any money to give them. I didn’t know how to help, so I started volunteering at The Lighthouse,” recalls Rath. The Lighthouse combats this cycle by organizing various programs to help clients socialize and heal. Rath relies on around fifty regular volunteers to help with meals and fun activities. Monday evening is Games Night and Rath sets up a Wii in the dining room for clients to play. There are also donated board games and packs of cards. “One of the shelter clients taught me how to play Crib when I first started. That’s probably one of the most valuable skills I’ve learned here because it’s the best game and everyone loves playing it,” says Rath. Regular volunteer Will Pulyk’s favorite night is Coffee House on Fridays. “I usually help out serving coffee and dessert and I find it’s just very satisfying and fun,” says Pulyk, who started volunteering in April. “Last Friday we had Worms and Dirt, the chocolate pudding with gummi worms, and making people smile was very satisfying,” he says. Coffee House also recruits volunteers to provide entertainment, encouraging folk singers or bands to share their music with clients. Sometimes Rath shows movies, and during the hockey season she always screens the play-offs. Rath estimates that she works with over a hundred volunteers throughout the year, some are regulars like Pulyk, many come with church groups and a few are students who volunteer as a class requirement. Apart from the fun activities, Rath schedules volunteers in the kitchens. There are two meal programs at The Lighthouse; one feeds only people living or staying here. Kitchen Manager Jan Thiessen relies on volunteers to help her prep and serve three meals, plus a snack to around 150 clients every day. 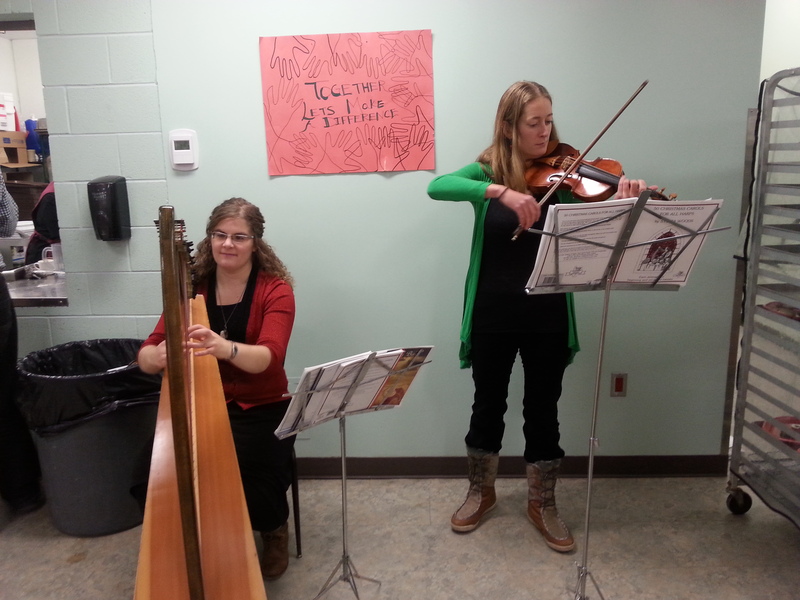 The Cameco Community Kitchen opened last December and is run solely by Rath and her team of volunteers. Operating on Monday and Friday evenings, this program is open to anyone in the community who needs a meal. Rath tries to schedule groups of volunteers to come in for the Community Kitchen. “Some groups do provide the food and come and cook it and that’s really great, it helps with our budget. But if there isn’t a group to provide the food or cook it, then I’ll just make it that day and have volunteers come in and serve it,” she says. The volunteers came out dressed like waiters and served the main course with a special dessert right at the table, refilling everyone’s coffee and water glasses throughout the meal. “It was just so beautiful and a special thing to do for us. The clients loved it and it was so busy that night, everyone came,” says Rath. I’m certain that there are some cases where donations to an especially needy beggar are justified. But the ultimate danger in panhandling is that we don’t give to every beggar. There’s not enough change in our purses. We choose to donate money based on the level of perceived need. Beggars known this, so there is an incentive on their part to exaggerate their need, by either lying about their circumstances or letting their appearance visibly deteriorate rather than seek help. If we drop change in a beggar’s hand without donating to a charity, we’re acting to relieve our guilt rather than underlying crisis of poverty. 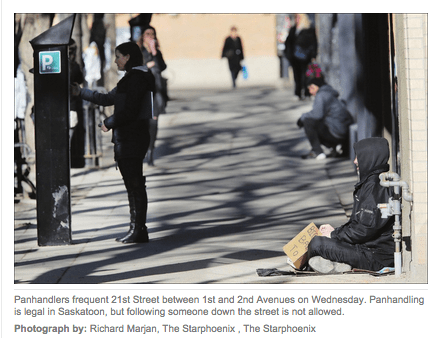 The same calculus applies to the beggar who relies on panhandling for a booze hit. In short, both sides fail each other by being lured into fleeting sense of relief rather than a lasting solution to the structural problem of homelessness. Smile and actually say hello. Go out of your way to approach rather than avoid panhandlers. Engage the person by starting a conversation. Take time to listen. Ask what their greatest need is. In most cases, meeting the immediate need of food or clothing is best. Offer an alternative. Socks, underwear, toiletry items including toothbrushes and toothpaste, bottled water, granola bars or gift certificates for food can help address immediate needs. If you want to help a panhandler or homeless person get back on their feet, you can point them to the Lighthouse or other service agency aimed at lifting people out of poverty. Since 1997 we have provided long-term housing for those who have experienced homelessness in Saskatoon. If they are in immediate distress you can call the Lighthouse Mobile Outreach at 306-653-0538. They can transport them to a safe space. Many organizations are working together to end homelessness in Saskatoon including the Lighthouse, the Friendship Inn, the Bridge, Salvation Army, and the Saskatoon Indian and Metis Friendship Centre and many more. These organizations are able to increase their levels of support and programming through your donations of money and goods. To donate to the Lighthouse click here. If you volunteer, not only do you give back to the community and help those in need but by sharing your experience you can help eliminate misconceptions and stereotypes. Gather a group of friends and start a clothing or non-perishable food drive, host a fundraising event, or volunteer at the Lighthouse Cameco Community Kitchen or other local organizations. In Orlando, Florida, the Central Florida Regional Commission took another approach to panhandling. They asked people who where panhandling what the people who passed them everyday might not know about them. The end result was a video that is truly eye-opening. If you have a story of helping a panhandler in a non-traditional way, please let us know in the comments! Cameco Community Kitchen has now been open for one month. It provides meals to the wider community twice a week. This video was filmed on the Kitchen’s opening day and highlights the need for s supper program and life skills classes that it will provide. 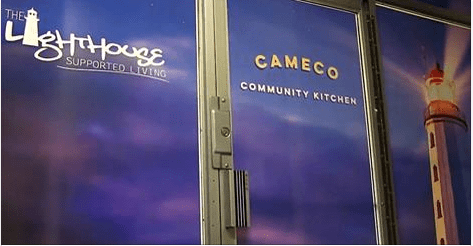 Cameco and The Lighthouse partnered together to provide a new kitchen to feed some of Saskatoon’s most vulnerable citizens. The Cameco Community Kitchen will open on Monday and Friday evenings. “This kitchen will help provide an evening meal to those who are experiencing homelessness or limited resources and hopefully introduce them to our services,” said Don Windels, executive director of the Lighthouse. We are seeking volunteers on Mondays and Fridays from 5:00pm to 7:00pm to help prepare and serve the meals. Please email volunteer@lighthousesaskatoon.org to help today. We also appreciate donations of food including soup ingredients like carrots, celery, potatoes, soup base, milk, chicken or beef meet, barley, sausage, pasta as well as monetary donations to ensure the continued services provided. You can donate at https://www.canadahelps.org/en/charities/the-lighthouse-supported-living-inc/. Fresh, free food for the city’s needy is now on the menu at a downtown shelter. The Lighthouse has opened a new soup kitchen at its downtown headquarters. The shelter will now provide free meals to the public twice a week. For people like Harry McLeod, the new community kitchen is welcome. 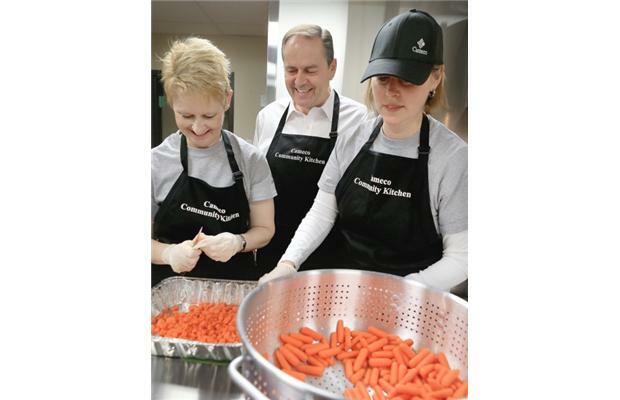 “It’s important for families who are struggling for food and shelter,” McLeod told reporters Monday at the kitchen’s grand opening. McLeod spent years on the street and now lives at The Lighthouse. While the new kitchen is aimed at helping people who don’t already live at the assisted living facility, he said he looks forward to frequenting the new kitchen. Aside from cooking free suppers twice a week, the newly renovated kitchen will also provide cooking classes for people who want learn to cook healthy meals on their own. The Lighthouse’s DeeAnn Mercier said the new kitchen will be a valuable resource for people who struggle to make ends meet. “When rents go up, a lot of people take money out of their food budget in order to pay their bills, so money becomes very tight. There is just not enough to go around,” Mercier said. Other popular soup kitchens in Saskatoon, like the one at the Friendship Inn on 20th Street, don’t serve supper, Mercier noted. That means people on the street still go hungry at night. The shelter expects as many as 60 people to frequent the free meal service in the first few months. After the holidays, demand will like increase, Mercier predicted. The kitchen will be fully staffed by volunteers and its shelves will be stocked with donated food. Mercier said she hopes the kitchen will bring in new people to The Lighthouse. “They will come in, get to know us and we can talk to them, maybe before they lose their house,” she said. 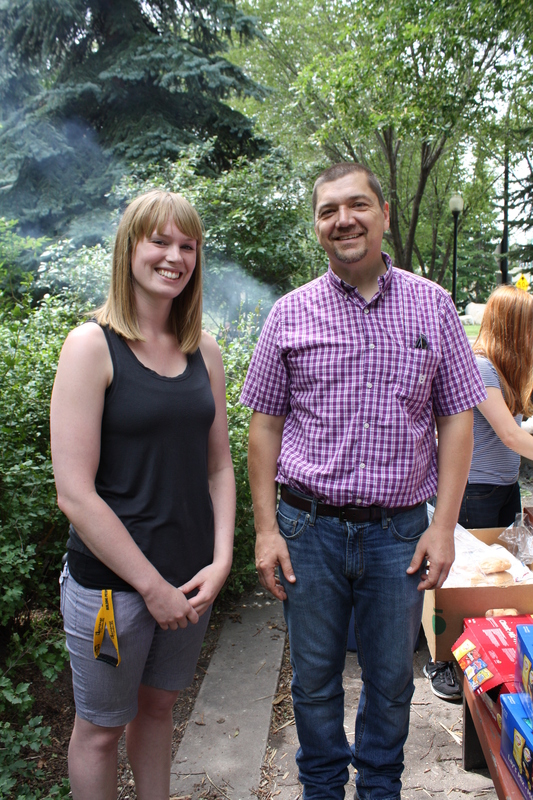 Cameco provided the funding to renovate the kitchen and plans to help staff it with volunteers. 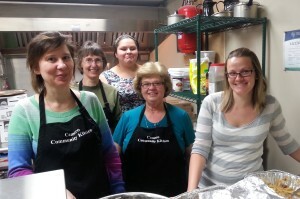 To volunteer at the Cameco Community Kitchen please contact gracerath.lighthouse@gmail.com.